Remember that this is only a feature and bug fix release, and only affects GTK3 part. The theme is being updated in the Artwork Daily PPA and as a standalone package. Downloads are here. 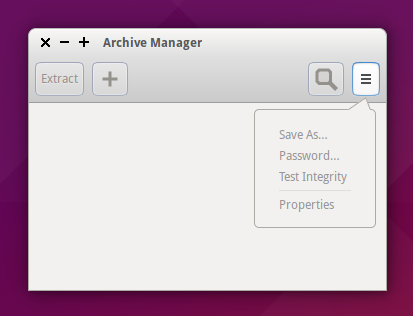 Since the arrival of Gnome3 and its Client Side Decorations widgets, some GTK3 apps look weird. That’s why we’ve had another re-merge with Light Themes and adding some specific Lubuntu fixes. 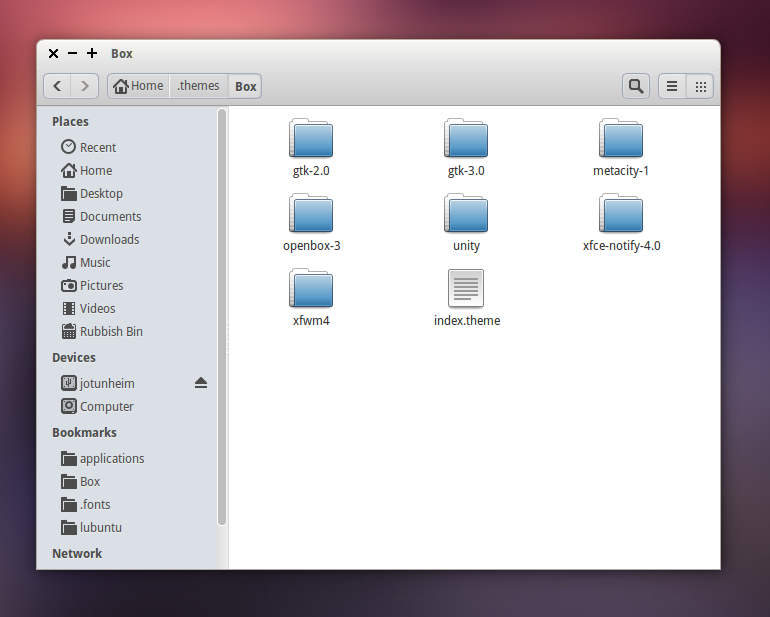 These includes Geary full (theme and icons) support, CSD menus, CSD gradients, borders and miscellaneous colours. Some things must be fixed yet, like toolbar icon sizes and some borders (we’re on it). The fixes have been uploaded to the main branch (in case you want to use our PPA) and as a standalone archive (for other Linux distros). As Lubuntu is on Interface Freeze stage, these late changes won’t be uploaded to Ubuntu’s main repositories for final release on Vivid Vervet, so you’d need to upgrade your theme if you want to fix it. Sorry for the annoyance. New version that starts a new challenge for Box: supporting not only more environments, but known apps too. There’re a lot uncovered applications that need their own icons existing in our theme. Thanks to Đurađ Radojičić, the Lubuntu Artwork Team is getting now a reinforcement to make it possible. Geary (from the ElementaryOS distro) is just a new covered app, among others to come. 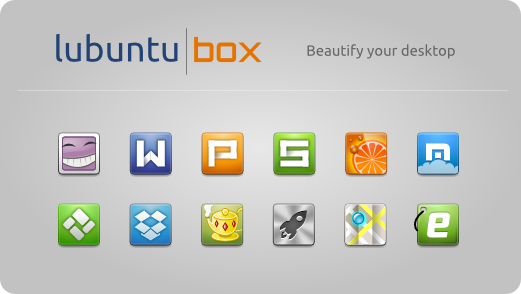 Because all good apps should run in our favourite distros, just the way we want they look. That’s the power of Linux: freedom. 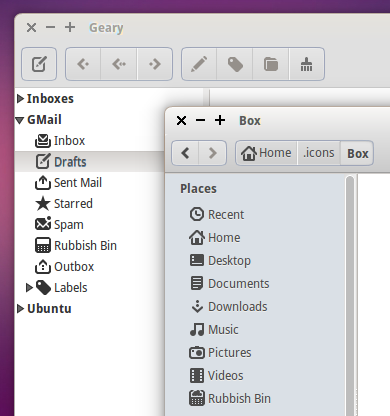 Preparing the forthcoming Lubuntu 15.04 Vivid Vervet release, the Box theme has been updated and re-merged with Ubuntu’s Light Theme to the use last GTK features, like the new HeaderBars used in Gnome native apps. Changes include a lot of bug fixes, adjustments in colour definitions, modified headerbars and toolbars, improved paddings and distances, improved 3rd party apps support (like Nautilus, Maps or Music), etc. 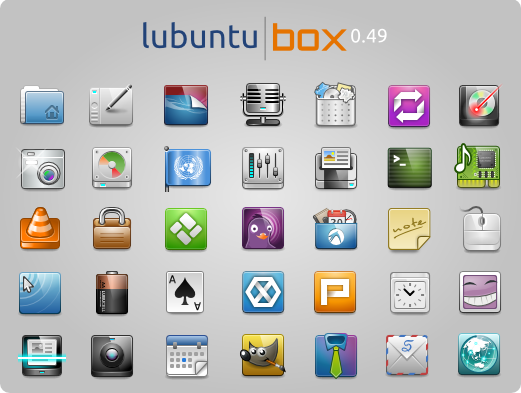 If you want to use Box theme in your distro just download it from the Artwork page. It’s been a while since last post, but no, we’re not dead, just busy preparing everything for 15.04 and it’s new features. Now the icon theme part has been updated since Utopic Unicorn release with a few modifications (see the changelog here) improving integration with LXQt, and we’ll keep working on it. And remember you can use it with any Linux distro! Download it while it’s hot. The Box theme support continues growing, covering more and more environments. 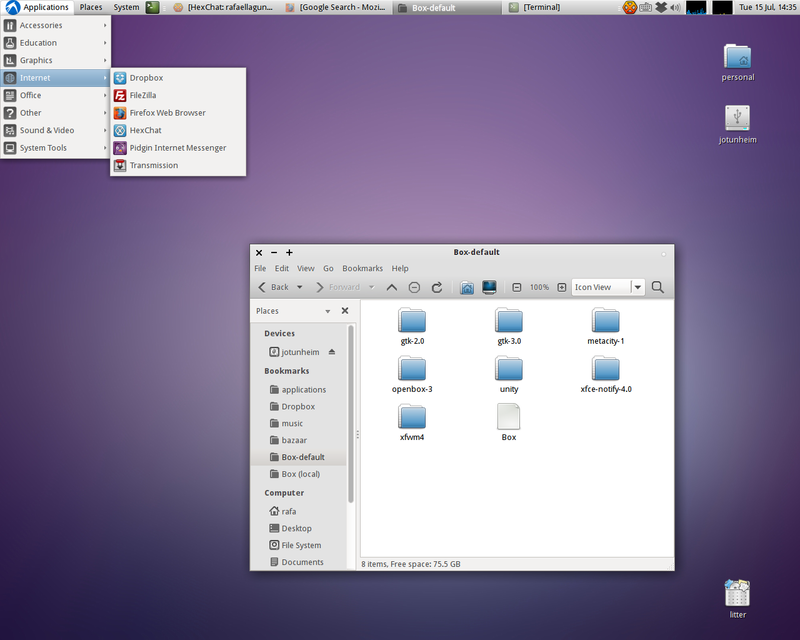 Now we’re celebrating that the MATE desktop environment, a GTK3 fork of the traditional Gnome2, will have its own Ubuntu flavour, named Ubuntu MATE Remix. Once tested, I noticed I missed something familiar, our beloved Lubuntu spirit on it. So here begins the (experimental) theme support. It’ll be available to download soon. Edit: It’s available now! Get it while it’s hot at Artwork section! And more to come. Please, feel free to test it on every Linux desktop. Grab both packages at the downloads section, decompress and enjoy! 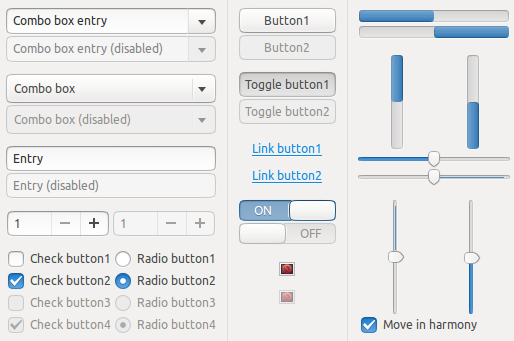 Due to popular demand, another variant was added to the Box theme for Lubuntu. Now you can use dark panels and adapted icons aswell. These modifications will be available in the downloads sections very soon. 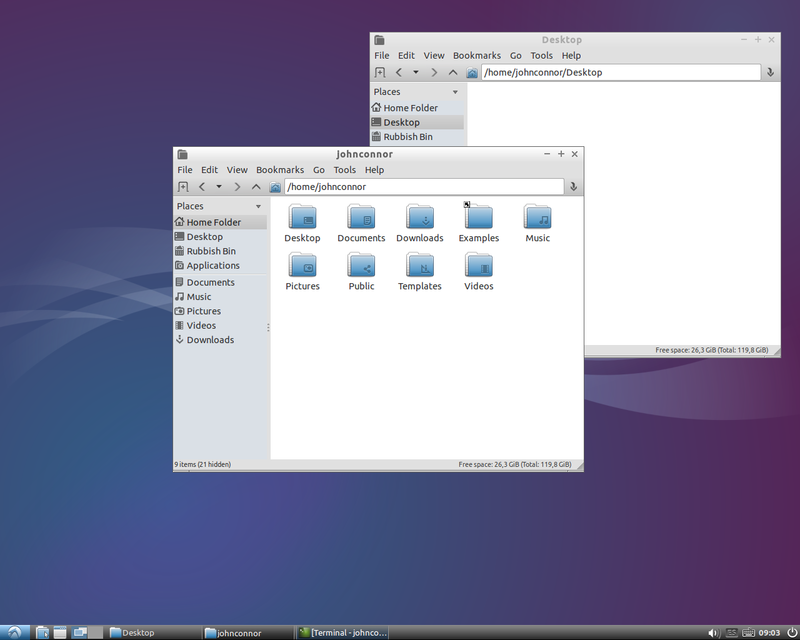 Also, the upcoming release of Lubuntu will include it.